Rajinikanth and K.V. Anand to join hands finally? A day ahead of the legendary Superstar Rajinikanth's birthday, we have an enticing update about his next project, after Kochadaiyaan. Here it goes. There have been numerous talks in the past about the cinematographer turned director, K.V Anand teaming up with Rajinikanth for a project. However Anand went on to work on Anegan with Dhanush, brushing away all the speculations that foamed up. 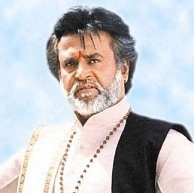 Well we now have information from reliable sources that Rajinikanth might have indeed given Anand a vertical nod for a script that the director has apparently narrated to the Superstar. The movie as expected will be a mega budget commercial venture which would be supported by an experienced technical team. However, an official confirmation statement has not been released by any parties concerned. We are informed that Rajini is expected to confirm the project in the early months of 2014 and the shoot will kick off during summer next year after K.V Anand finishes up with Anegan. "Ivan Vera Mathiri is not INDIAN"
Siva Karthikeyan’s film does hot business even before completion! Facebook plays a role in a movie? People looking for online information on Anegan, K V Anand, Rajinikanth will find this news story useful.